Mix every the every thing together except the chocolate chips, then freeze it in your ice cream maker according to the manufacturer’s instructions. Add the chocolates chips (or chopped chocolate) 10 minutes before you stop the machine. Remove from freezer about 10 minutes before serving. If you don't have an ice cream maker then simply mix every thing together (except the chocolate chips) and beat the mixture lightly, stir through the chocolate chips, put it in a container and leave it in freezer to set. Put this container into Freezer. 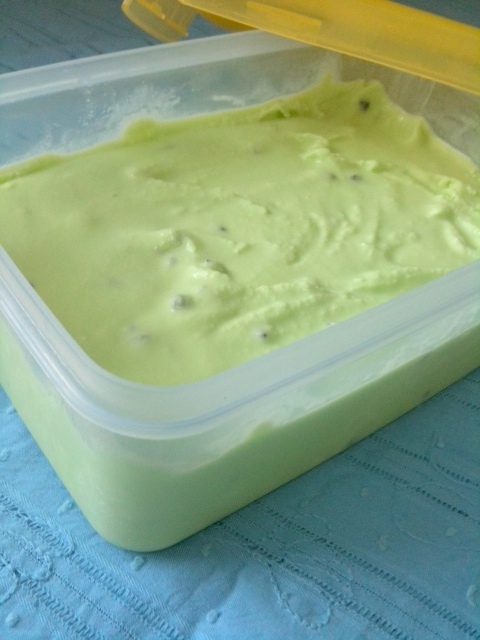 Every 20 minutes take the container out of the freezer, and mix it really well with a fork, or whisk. 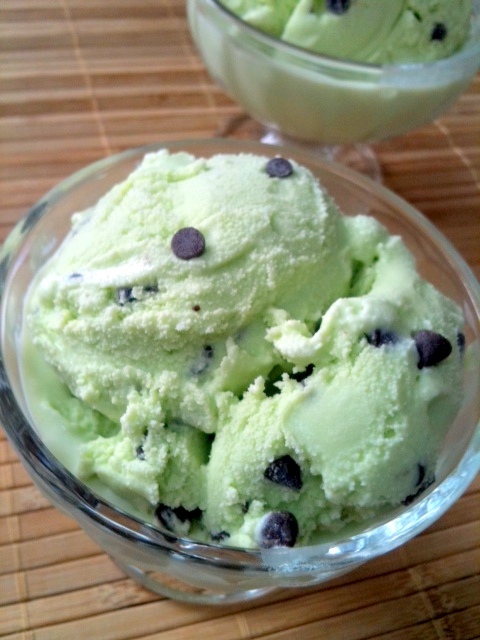 Make sure to break up any ice pieces into small bits and incorporate air into the mix for a creamier ice cream. After 2 - 3 hours you should have your ice cream ready.